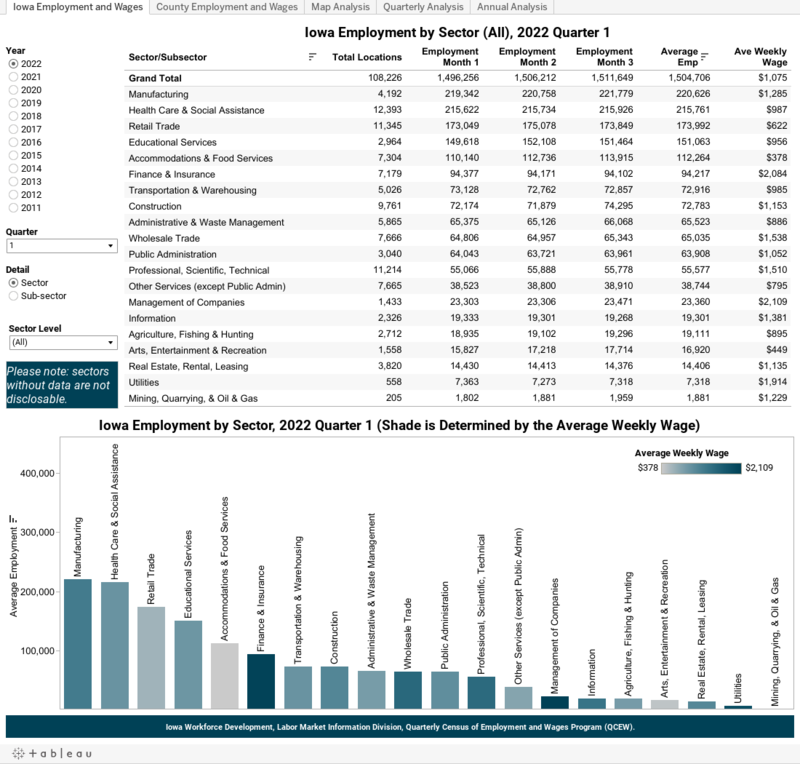 The QCEW program serves as a near census of monthly employment and quarterly wage information by industry. Data is available here at both the State and county level. Navigate the tables below by using the two tabs at the top of the frame. Begin by selecting the year, quarter and level of detail from the filters to the left of the table. As selections are made the table and chart will update accordingly. The data is also available in a CSV file. Click the button below to download the file.